1. Air Conditioning systems- which is the right one for me? 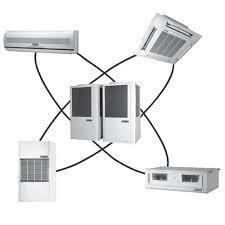 There are many choices of Air Conditioning systems and designs. EuroCool will carry out a site survey prior to installation to discuss your needs and ensure you get the right Air Conditioning system for your home or workspace. We work with the leading equipment manufacturers including Mitsubishi, Daikin, Toshiba, Fujitsu, Sanyo & LG. This type of system may have one or more indoor units connected to the outdoor unit. This is mainly used for commercial premises such as offices, restaurants, doctors’ surgeries and medium-size shops. The requirement of each room could differ; therefore you can select the most appropriate style of indoor unit for each room in the same premises. This system is suitable for small premises where a single room is to be air conditioned. It consists of an indoor unit which does the cooling and heating and is connected to a discrete outdoor unit. There are several types of indoor units to choose from. For example, there are ﬂoor standing models, or wall-mounted units that occupy no ﬂoor space, and even discrete units that can be concealed behind ceiling panels. We can help you choose the best solution that meets your requirements and lay out of the room. These systems are ideal for larger premises, such as ofﬁce suites or prestige apartments, where a number of indoor units serve separate living or working spaces. They are connected to a bank of outdoor units or one large one, located either on the roof or in a central plant room serving the building. Again, the requirement of each room could differ and the most appropriate size and style of each indoor unit can be chosen to suit each room. We offer professional cooling solutions for large industrial units such as data centres, server rooms, production, manufacturing and warehouses. Please contact us if you require any further information on this bespoke service. 2. Why Have Air Conditioning Installed? Never feeling too hot or too cold. Air Conditioning systems are dual function and offer heating as well as cooling. Most new units have an auto change-over switch so the unit will cool or heat as required. Keeping the air around you pure -most modern units are fitted with an anti-fungus filter to catch allergy causing mites and odours keeping the environment clean and like fresh air. Keeping a constant comfortable environment - climate change means we are experiencing warmer weather in the UK and the need to comfort cool will be come greater. Keep your business premises or home comfortable and inviting and a welcoming place from the sticky heat. 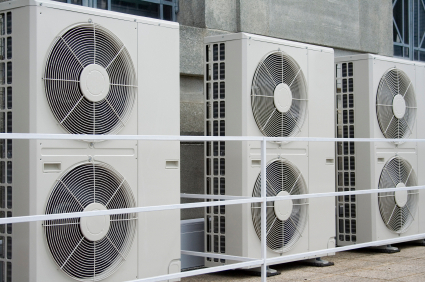 A good modern eco-friendly Air Conditioning system will always do the job. Security is improved as doors and windows can be kept closed both keeping out unwanted opportunists and insects and external noise. 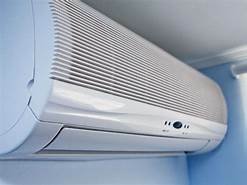 Claim back the cost - With new government initiatives for conserving the environment you could also claim back the cost of your Air Conditioning installation in full if you are a company who pays corporation tax. 3. How do I find out more? Call or email us today for your free guidance and no obligation quotation.